1. On 11 July 2016, His Excellency, President François Hollande of the French Republic, hosted his counterpart, His Excellency President Jacob Zuma of the Republic of South Africa, on a State Visit to France. 2. On the occasion of this State Visit, the two Presidents reaffirmed the importance they attach to the relationship between their two countries, structured by a strategic partnership encompassing political, economic, social and defence matters. France and South Africa have common interests and share values, including the promotion of peace and security, human rights, democracy, the rule of law and sustainable development. Bilateral relations are rich and cover a wide variety of fields, especially in education and training, environment, health, transport, energy, research and science, arts and culture. 3. President Zuma's visit precedes the centenary commemoration of the South African engagement in the First World War on French territory and the transformation of the Delville Wood Memorial to honour all South Africans, irrespective of race, who perished in the war. Tribute will be paid to their sacrifice and courage at the South African War Memorial of Delville Wood, in France, on 12th July 2016. 4. Despite the global downturn, trade and investment between the two countries continue to grow. Both Parties reaffirm their commitment to build on these dynamics. In this respect, the Heads of State also welcome the South Africa-France Business Forum convened on 11 July, recognising the pivotal role of organised business in the promotion of bilateral relations and welcome the signing of a cooperation protocol between Business France and Invest SA. 5. France and South Africa recall the importance of their cooperation in the rail sector, materialised by the signing of a bilateral agreement on transport in June 2015, as well as the implementation of the Alstom Gibela-Prasa contract for the supply of rolling stock, which will create more than 30 000 industrial jobs and stimulate localisation in the field of rail transport. 6. France and South Africa place great importance on cooperation in the energy field within their strategic partnership, as exemplified by the agreement on cooperation in the development of peaceful uses of nuclear energy signed in October 2014. 7. Following the COP17/CMP7 and the COP21/CMP11, they give special attention to the development of a sustainable energy mix encompassing renewable and nuclear energies to reduce carbon emissions. In this respect, the Agence Française de Développement (AFD) and the Industrial Development Corporation (IDC) have partnered to finance a new "green credit line” with Nedbank, in order to promote the development of renewable energy in South Africa. Both countries commend the significant participation of French companies to the energy mix in South Africa. 8. France has been supporting South African reconstruction and development programmes since 1994, including the implementation of the South African National Development Plan - Vision 2030. Both countries welcome the signature of a new Partnership Framework Document for the 2016-2019 period, focusing on crucial development sectors. 9. Building on the legacy of the highly successful South Africa-France Seasons, France and South Africa place great importance in their cooperation in the fields of Arts and Culture and signed a new programme of cultural cooperation. 10. The Presidents welcome the ongoing collaboration between the South African National Archives and Institut National de l'Audiovisuel (INA), including the digitisation of the Rivonia Trial dictabelts, thereby preserving these historical records for generations to come. The same technology will be used to preserve the remaining audio recordings of other apartheid era trials. 11. France and South Africa affirm that innovation and investment in science and technology, and the development of human capital, are key areas to sustained economic growth and competitiveness. Priority areas for future scientific and academic cooperation include environment and agriculture, water and marine research, engineering sciences, global health, human and social sciences, astronomy, space science, nuclear and physics research and training. France and South Africa also aim at encouraging innovation through incubators and entrepreneurship programmes, as well as implementing trilateral scientific cooperation with African countries. 12. France and South Africa, as two major destinations for students from the African continent, believe in the importance of internationalisation of higher education. Both parties signed a Declaration of Intent to strengthen the cooperation in the field of higher education, training and skills development and accelerate student mobility between the two countries. 13. The Presidents noted the significant progress made by South Africa over the last few years to control the HIV and TB epidemics. France, as the second contributor to the Global Fund, has contributed to this project. 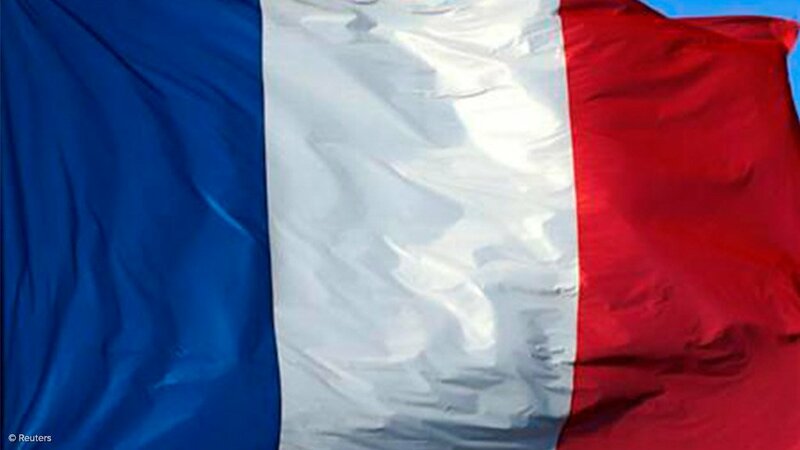 France is furthermore ready to share its expertise and support South Africa's National Health Insurance, which aims to deliver quality health services to the South African population through the development of a new health financing system. In this regard, a Declaration of Intent regarding cooperation on health is to be signed shortly. 14. The Presidents recall their joint participation to the first meeting of UN High Level Commission on Health Employment and Economic Growth in Lyon in March 2016. Both countries are thereby committed to address the health sector as a driver of growth. As proposed by South Africa, France supports the adoption of "Health employment, decent jobs and inclusive economic growth" as the main topic of the next Foreign Policy and Global Health network resolution. 15. In the field of agriculture, both Heads of State welcome the recent signature of the protocol regarding the establishment of the French South African Agricultural Institute (FSAGRI), aiming at increasing high level skills in agriculture and agro-processing, and the start of its implementation at Fort Hare University. 16. France and South Africa are to explore channels of regional cooperation in the Indian Ocean. A bilateral agreement on maritime cooperation in areas adjacent to the French Southern and Antarctic Territories, Marion Island and Prince Edward Island was signed in this regard. France and South Africa also welcome and encourage partnerships at local and regional levels. 17. The two Presidents agreed on the importance to support the implementation and objectives of Agenda 2063. South Africa and France remain committed to peace and security on the African continent, under the leadership of the African Union. 18. They agree to enhance communication and coordination to address pressing regional challenges, such as terrorism, international crime and migration, to promote common values and to support free and fair electoral processes in Africa and Europe. 19. France and South Africa also share a common concern about the political, security and humanitarian situation in the Middle East. President Hollande and President Zuma reaffirm that moving towards resolution of the Israeli-Palestinian conflict is as urgent as ever, and believe that the two-State solution is the only viable option and must be preserved. France recall its initiative on the Peace process and commends South African support and involvement. 20. The two Presidents have common views on the need to reform the UN and its organs, including the UN Security Council, in order to better respond to the current challenges facing the international community. France and South Africa will coordinate efforts and initiatives in the UN system. 21. South Africa and France have committed to promote the principles of inclusive and balanced development in the global economic and financial system. The Presidents acknowledge the need to coordinate their efforts, within multilateral instances such as G20, to curb illicit financial flows. Both countries are deeply concerned with the issue of tax and custom revenue evasion, which has a major negative impact on development, especially in African countries. 22. South Africa commends France for its outstanding presidency of the Paris Climate Change Conference (COP21/CMP11) in December 2015, which led to the adoption of the historic Paris Agreement and implementing COP decision covering climate action in both the pre-and-post 2020 periods. The Presidents resolve to continue the excellent multilateral and bilateral cooperation between South Africa and France on climate change and commend the significant pledges made by all Parties to address climate change during COP21. They both commit to a successful outcome of COP22/CMP12 to be held in Marrakech, Morocco, in November 2016, and to fully implement their INDCs/NDCs. South Africa welcomed France's continued leadership in developing actionable and fully funded global initiatives and platforms on renewable energy and climate change, such as the International Solar Alliance launched at the Paris Conference. 23. On the eve of the seventeenth meeting of the Conference of the Parties to the Convention on International Trade in Endangered Species of Wild Fauna and Flora (CITES), to be held in Johannesburg in September 2016, the two Presidents express their intention to actively cooperate at all levels for the protection of the environment and the sustainable management of its resources. They welcome the declaration of intent for the creation and management of common marine protected areas in the Prince Edward-Crozet zone. 24. France and South Africa profess their support to the Open Government Partnership (OGP), a multilateral initiative promoting better governance through transparency, accountability, and the empowerment of citizens. Both parties look forward to the next global summit that will be hosted by France from 7 to 9 December 2016.